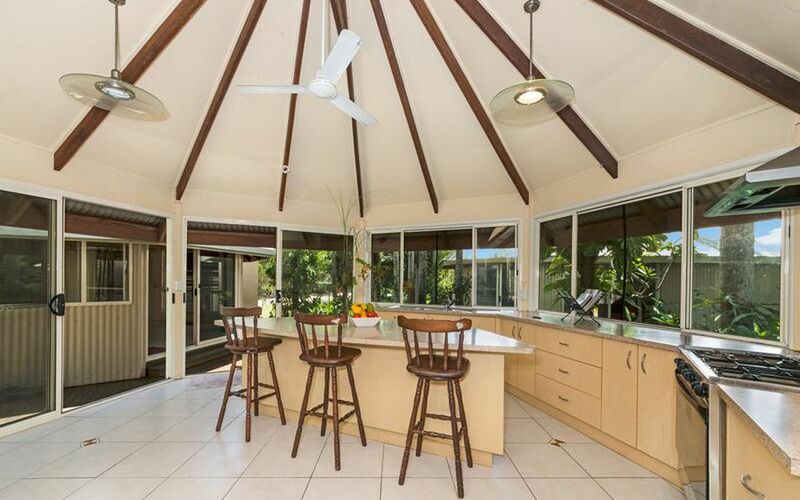 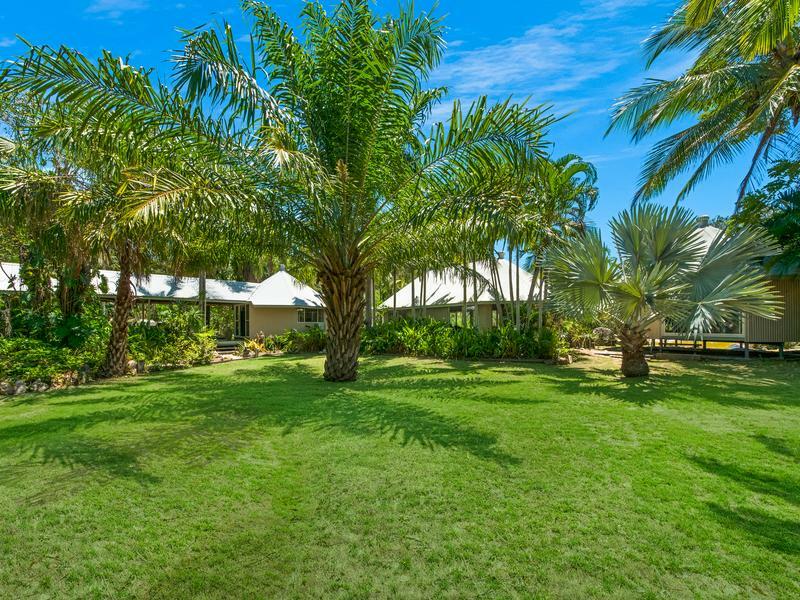 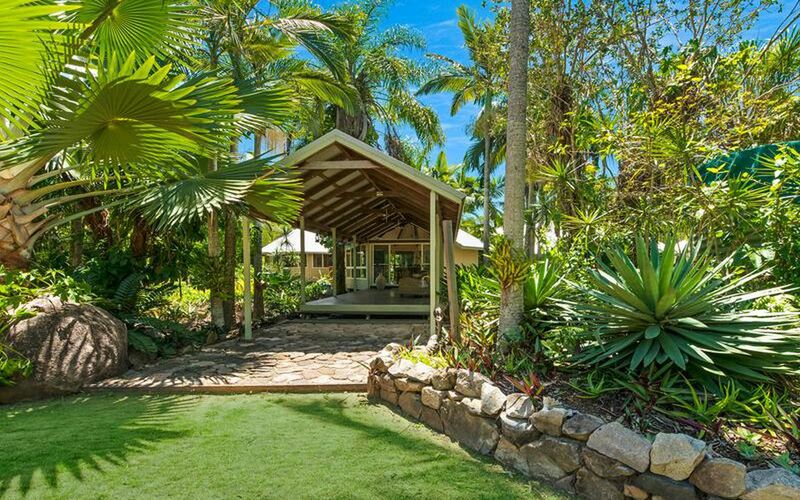 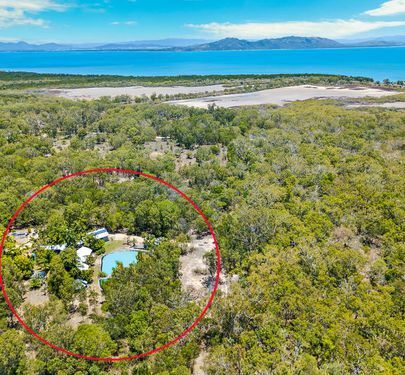 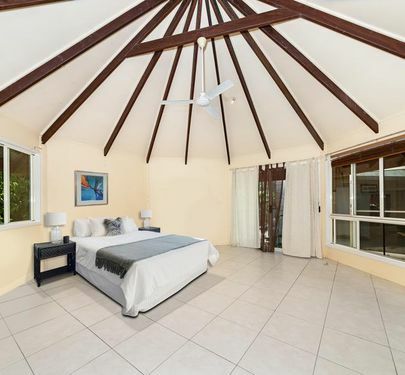 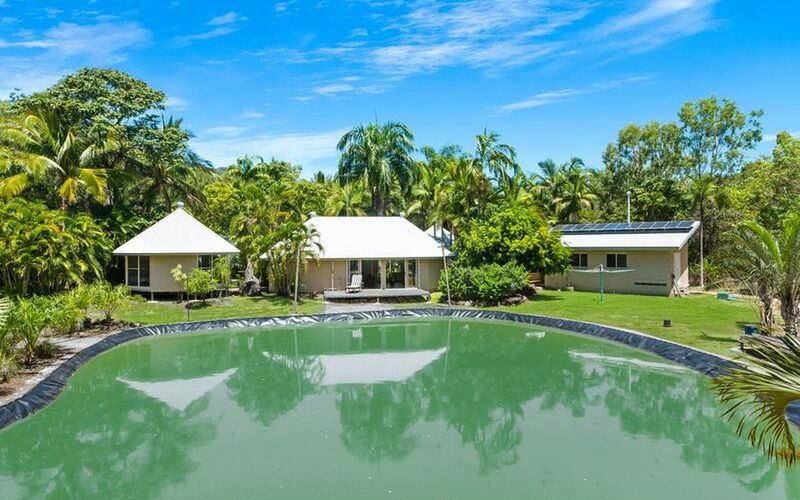 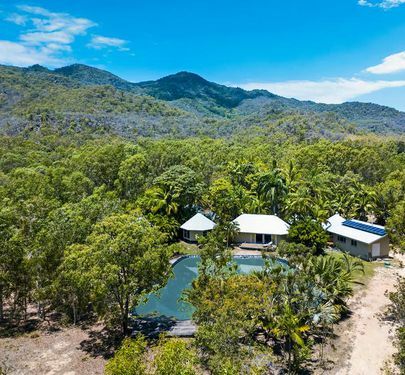 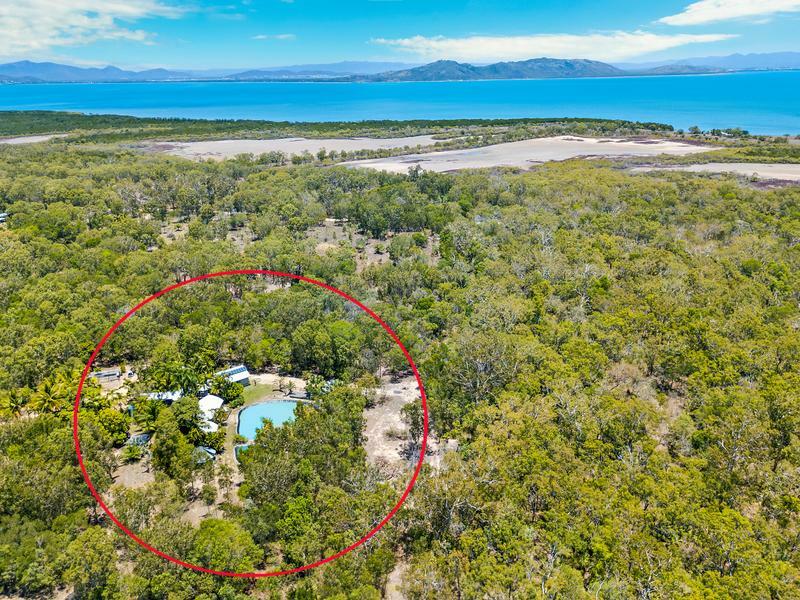 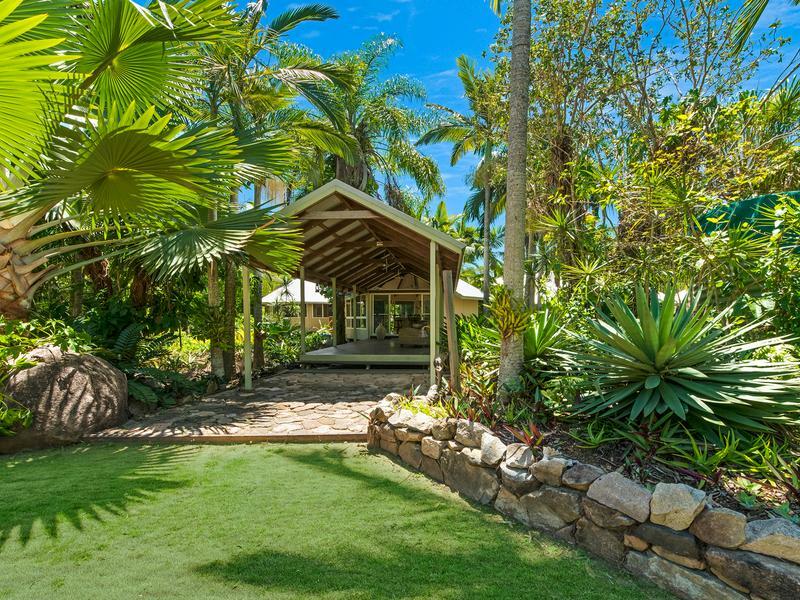 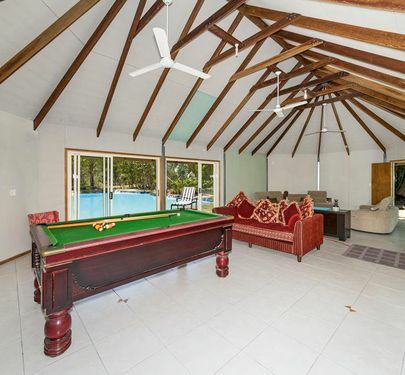 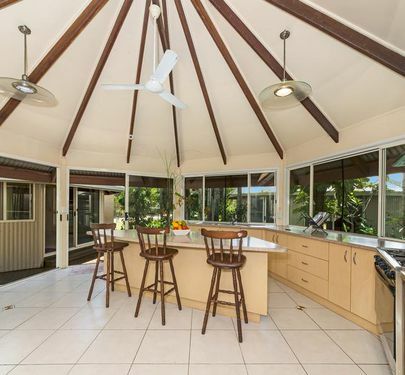 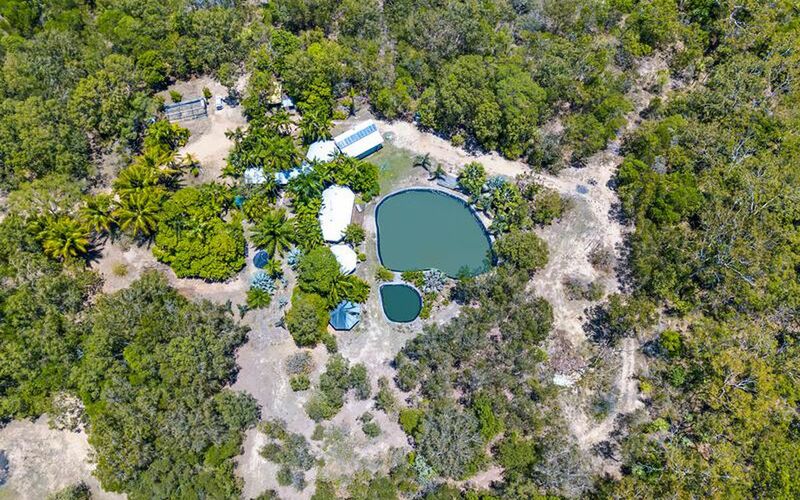 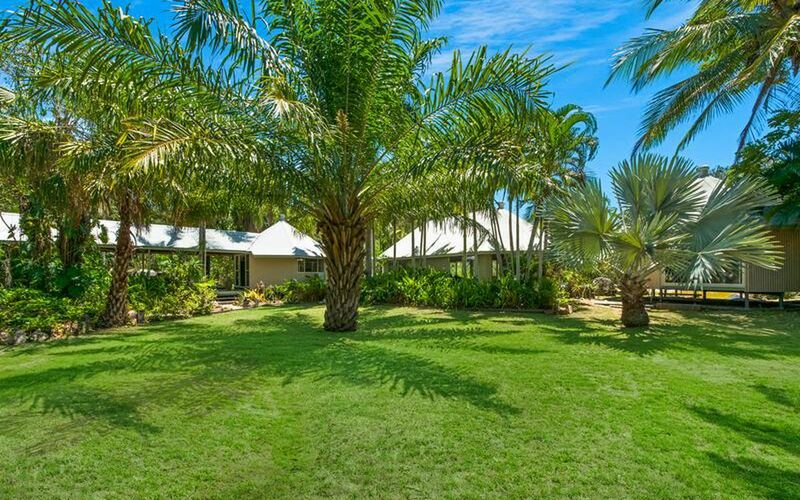 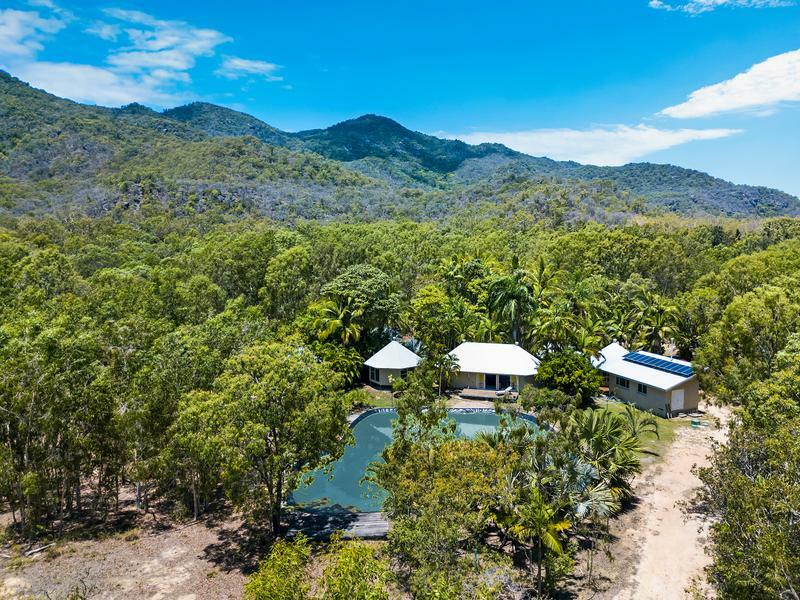 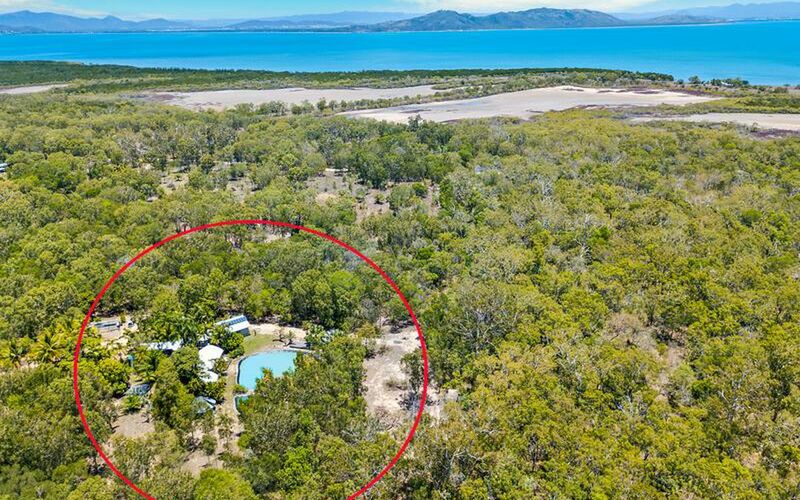 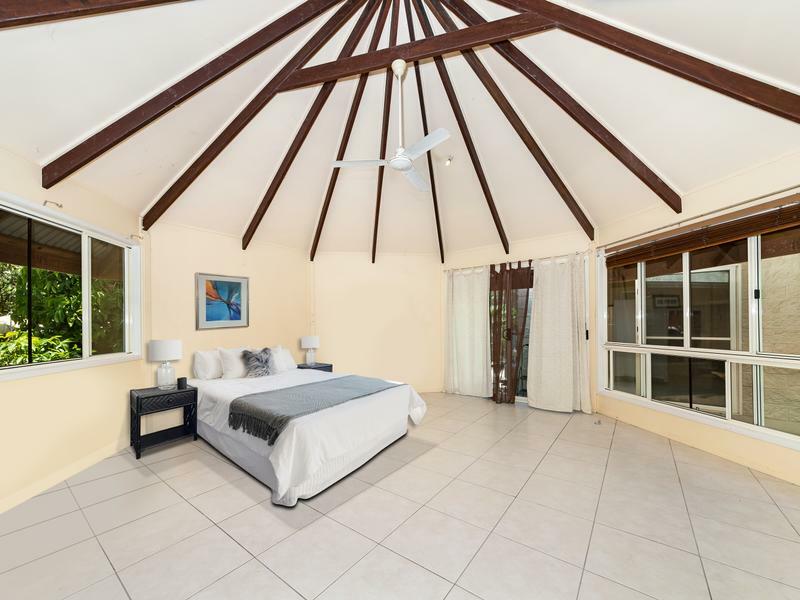 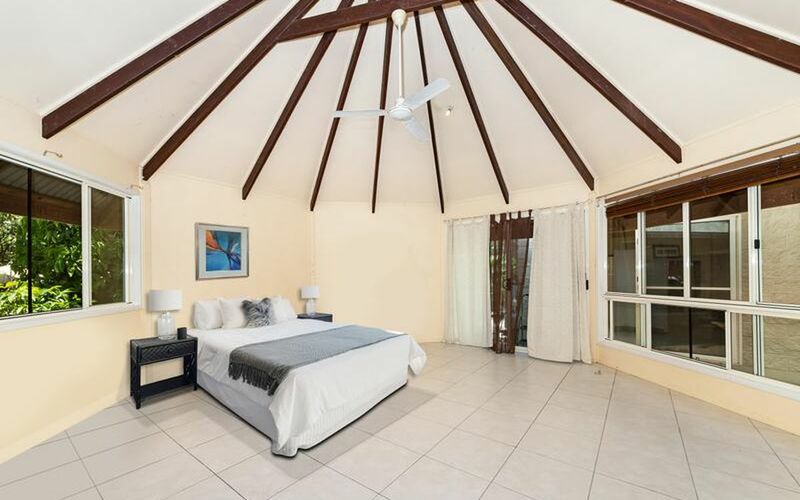 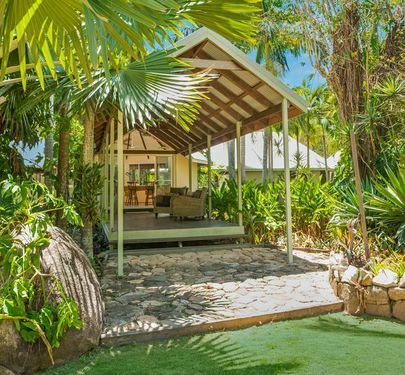 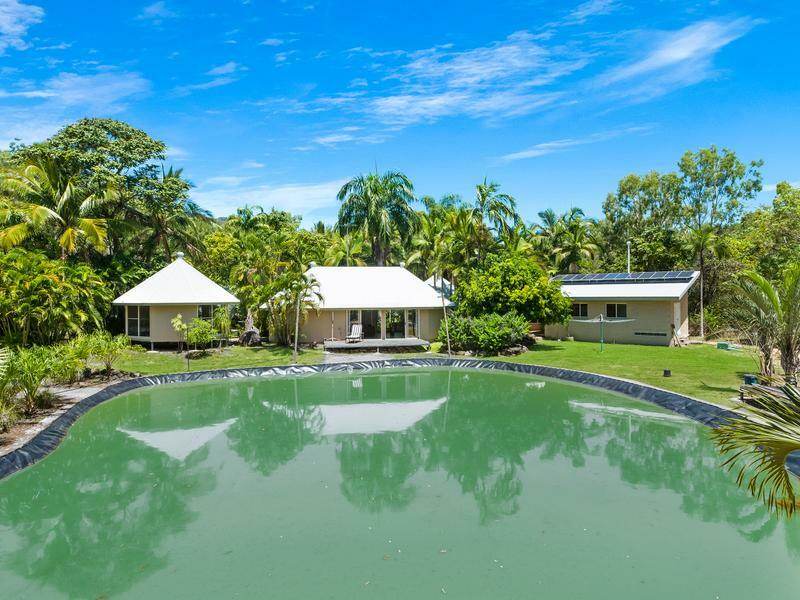 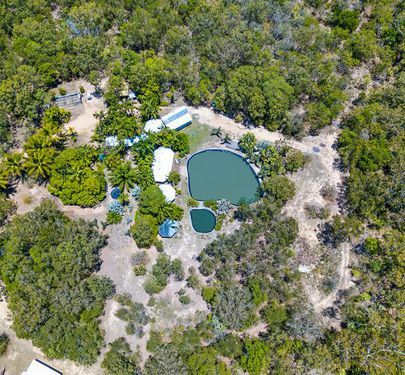 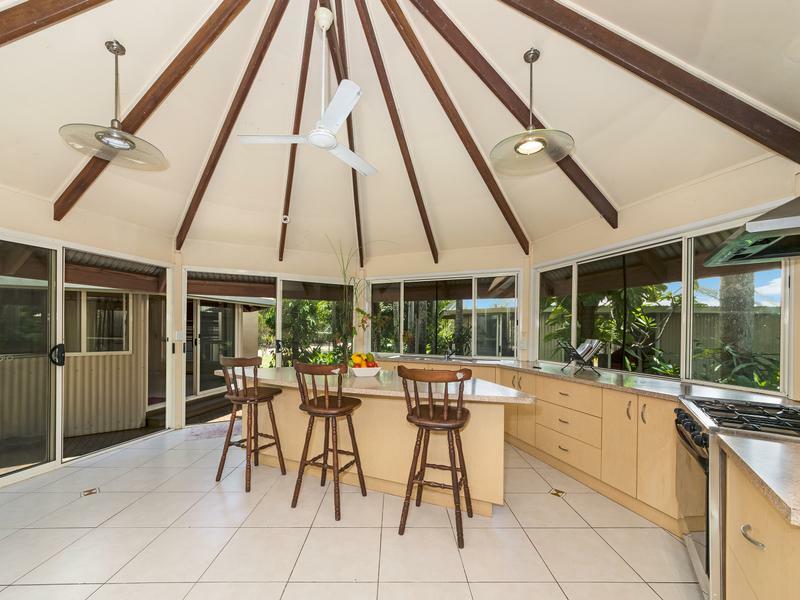 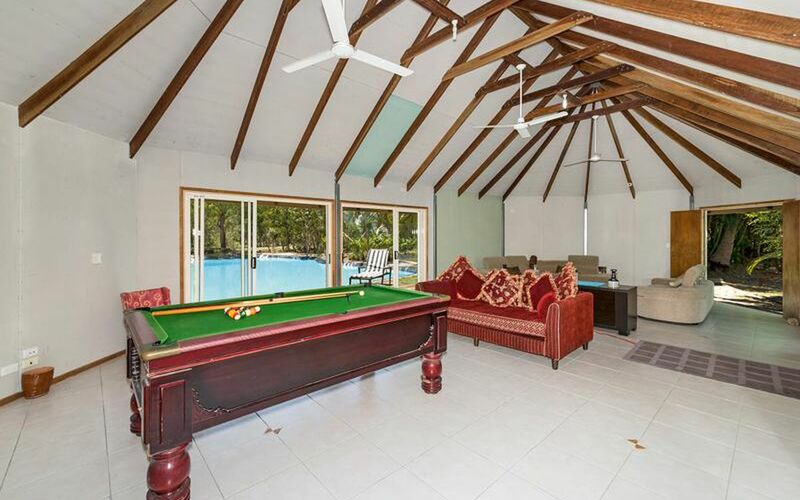 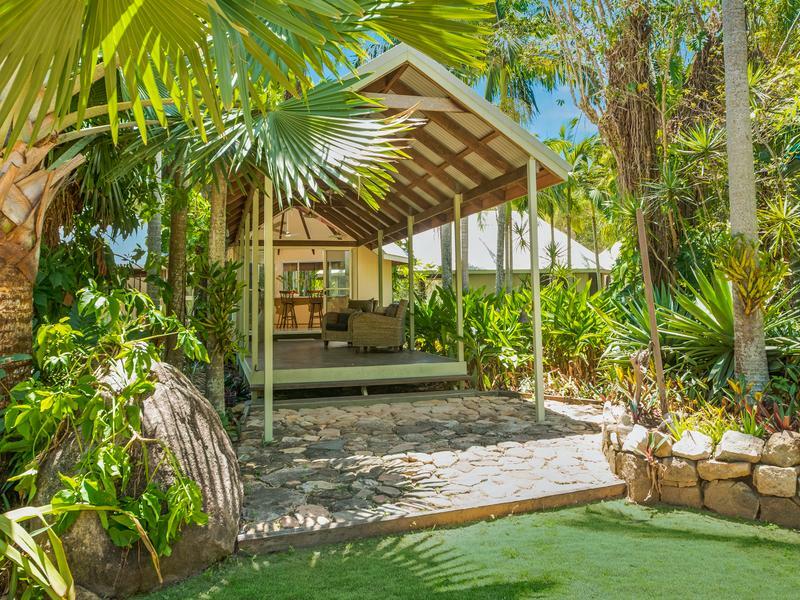 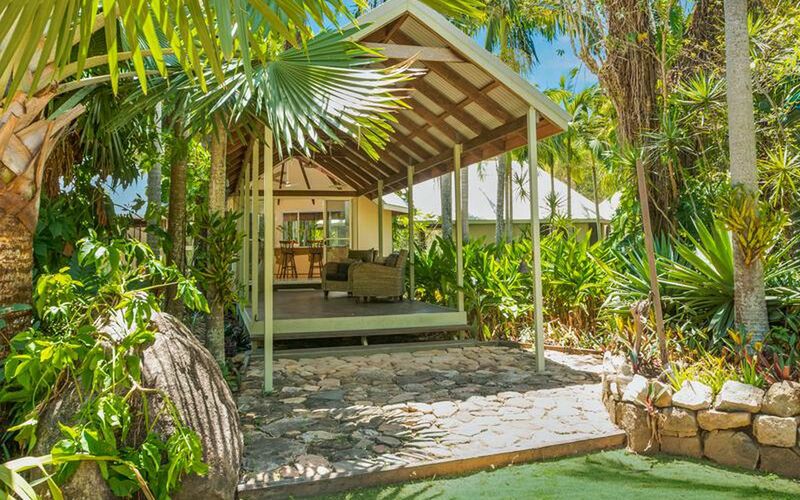 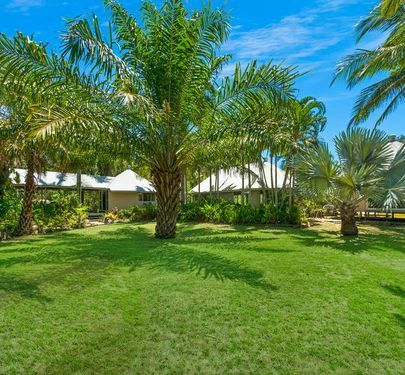 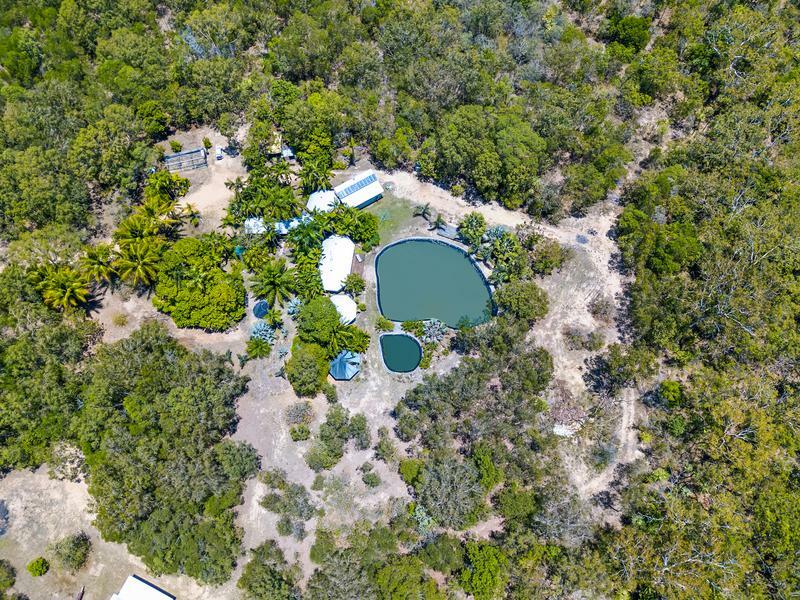 This 10 acres of magnificent Magnetic Island is nestled between the hills and the ocean with dense forest on either side and creates total privacy to a truly tropical escape. 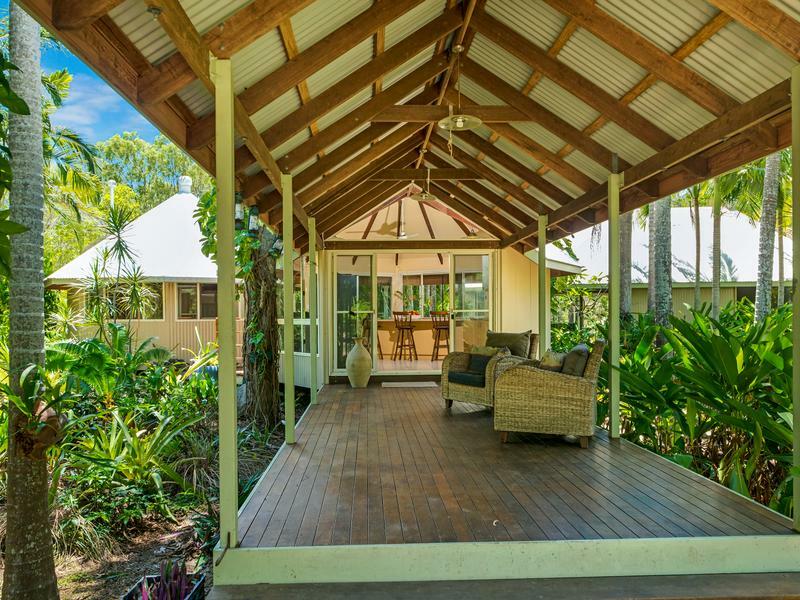 Bungalow-style constructions creates a village lifestyle. 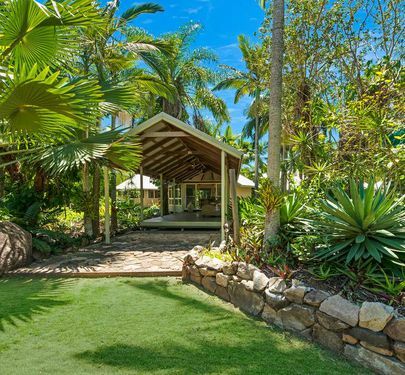 Six separate structures are joined by verandas and walkways covered by tropical gardens. 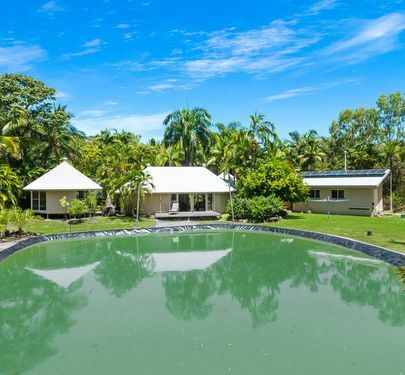 The bore water is known to be the best on the island - it is rain water captured in the hills behind the property which seeps down and is filtered through granite rock, river rock and fine river sand and pumped into rainwater tanks, two ponds and an irrigation system which waters the extensive already established tropical gardens and fruit trees. 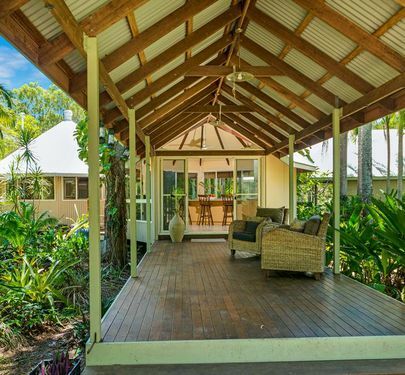 Gentle breezes and native birds complement the peace and solitude of this natural environment. 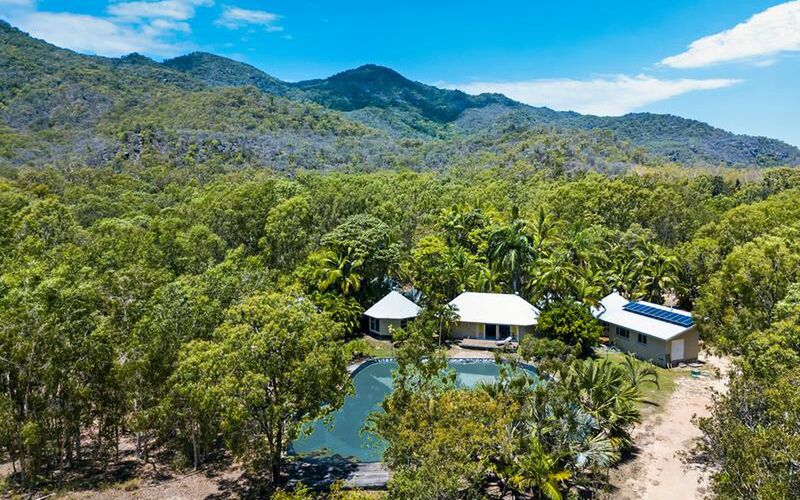 The property is powered by a solar system, which makes it fully self-sufficient. 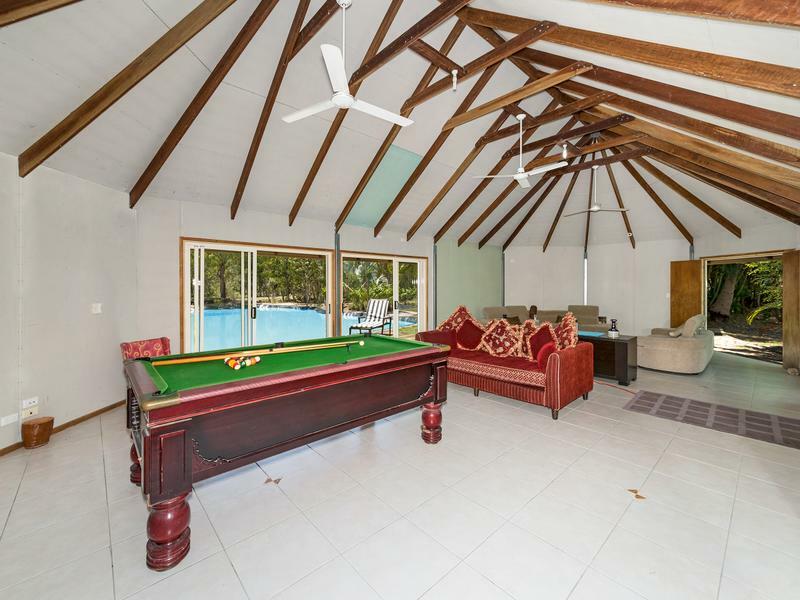 No power bills and no water bills! 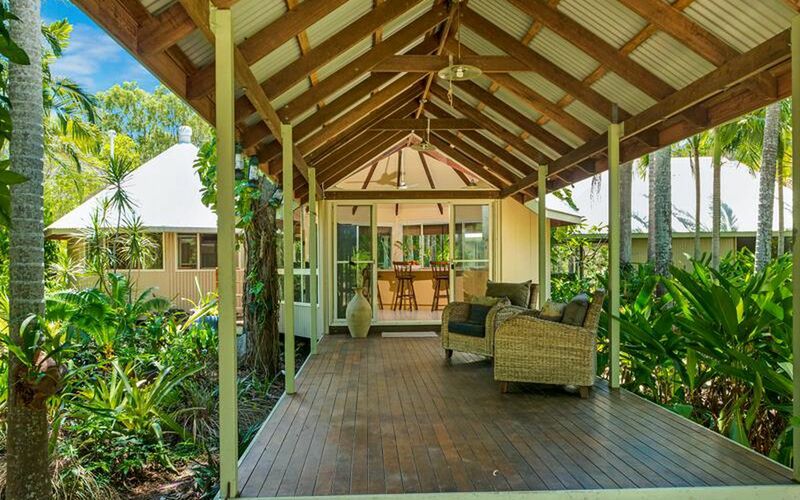 If tranquility, peace, quiet and solitude are what you are looking for then this property is for you.